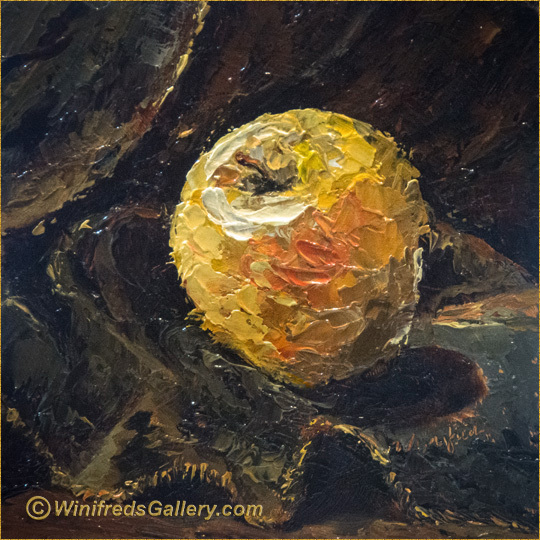 I’m enjoying painting with thick paint – even as simple as an apple. I only purchased one of these apples. It was a variety I’d never seen before. It passed all my requirements for taste and texture – it was so crisp and sweet. This is my way of sharing it’s deliciousness! A wondrous golden orb! Thank you Winifred. I really enjoy this new thick painting you are doing.